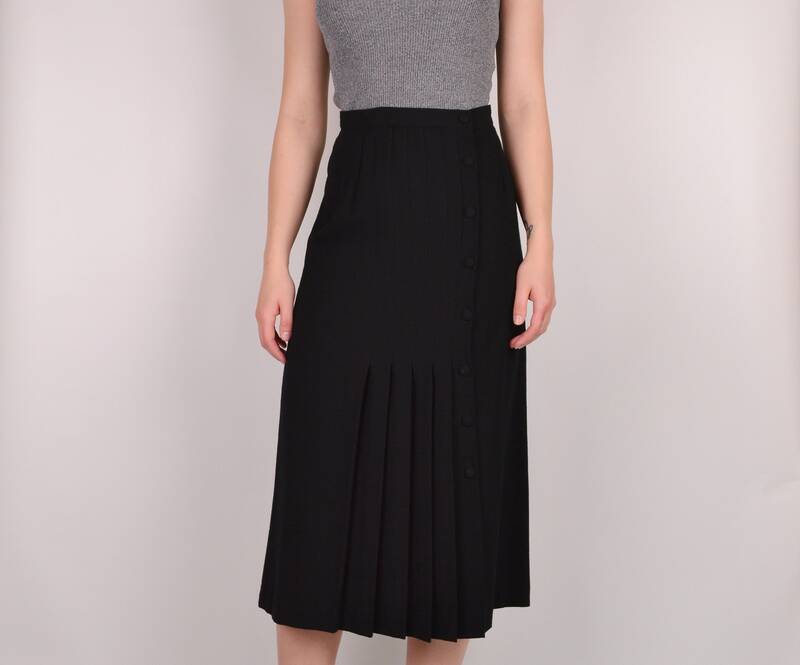 Lovely vintage black wool high waist midi skirt with pleating on one side. 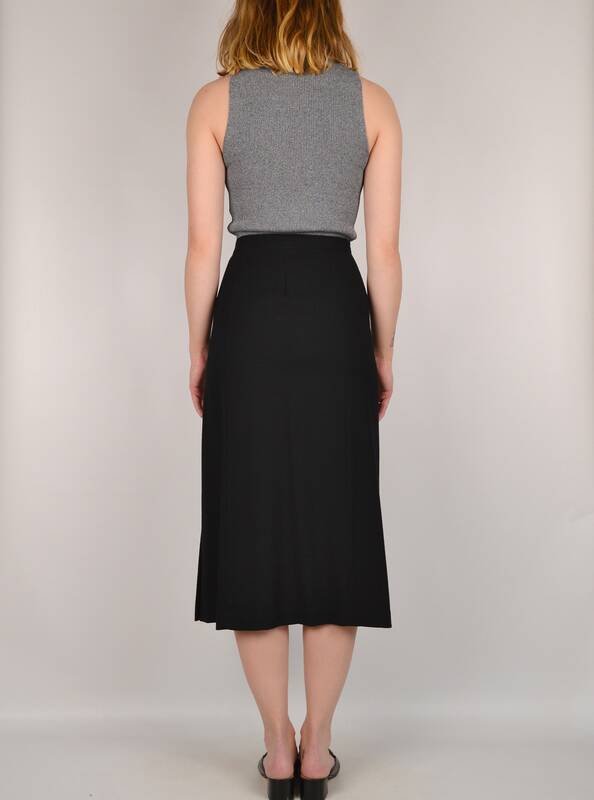 Has gorgeous button down closure in front. Unlined. So chic!